The type of goods that your business will be importing or exporting will determine the which customs legislation you must comply with. In many cases some pieces of international trade legislation apply to all businesses such as how dangerous goods are transported. But generally you will only have to ensure full compliance with the legislation that impacts on your enterprise's goods. Some goods are defined as 'strategic' and have export controls applied to them. These goods tend to be for military use and are listed on the Strategic Export Control List. You can read more detailed information about this list on the BERR website: http://tinyurl.com/4z7eab. You must ensure you have the proper clearances and licenses in place before you export any goods that are considered strategic. The Import Licensing Branch of the BERR can provide you with details: http://tinyurl.com/63alhf. Importing radio equipment, diamonds and some species of fish are controlled by import licenses. If your business imports certain agricultural products your business may need a license under the Common Agricultural policy. Any products that use oil or gas also have legislation attached to them as do any nuclear products you may want to import into the UK. Customs officials will want to see documentary evidence that you have the appropriate licenses for the goods you are importing or exporting. Also, importing goods could have a tariff applied to them if they are coming into the UK from certain countries. 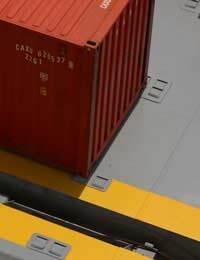 If you are not sure if the goods you will be importing or exporting have a tariff attached to them, you can easily identify those that do by the 'TQ' next to them in the Tariff Commodity Code guide. You local Customs and Excise office will also be able to give you help and advice. The movement of food into and out of the UK is strictly regulated. Food that is intended for human consumption has a number of regulations that must be complied with. You can read detailed information about the legislation that impacts on imported food on the Food Standards Agency (FSA) website: www.food.gov.uk. Importing fresh fruit and vegetables also has specific regulations and an import system called PEACH (Procedure for Electronic Application for Certificates) system that all importers must use. Learn how to use the PEACH system on the Defra website: http://ehmipeach.defra.gov.uk. Defra also have detailed information about the legislation that governs the import and export of organic food. One area of legislation that is often overlooked by businesses as they import or export goods is the packaging and labels that they use. Most countries that your business exports to will have specific labelling requirements. You must comply with these in order to sell your goods in those markets. In the UK, labelling is also tightly controlled. You can read more about labelling regulations on the FSA website: www.food.gov.uk/foodlabelling. The movement of plants and especially live animals is strictly controlled to prevent the spread of disease. Most imports and exports will require a Certificate of Veterinary Clearance. These will be checked by each Port Health Authority that your consignments pass through. Defra has detailed information about the international trade of plants and animals: /www.defra.gov.uk. If your business is importing or exporting dangerous goods you may require a license. Contact the BERR for details. Also, regulations exist about how you transport dangerous goods. Normally your consignments must be accompanied by the Standard Shipping Note (SSN). If you transport hazardous goods the SSN should be replaced with a Dangerous Goods Note. You won't be able to move dangerous goods through customs without a Dangerous Goods Note. So that the government can compile trade statistics all exporters who move more than £260,000 of goods outside of the UK must complete an intrastat form. Read about intrastat on the Uktradeinfo website: www.uktradeinfo.com/index.cfm?task=intrastat.